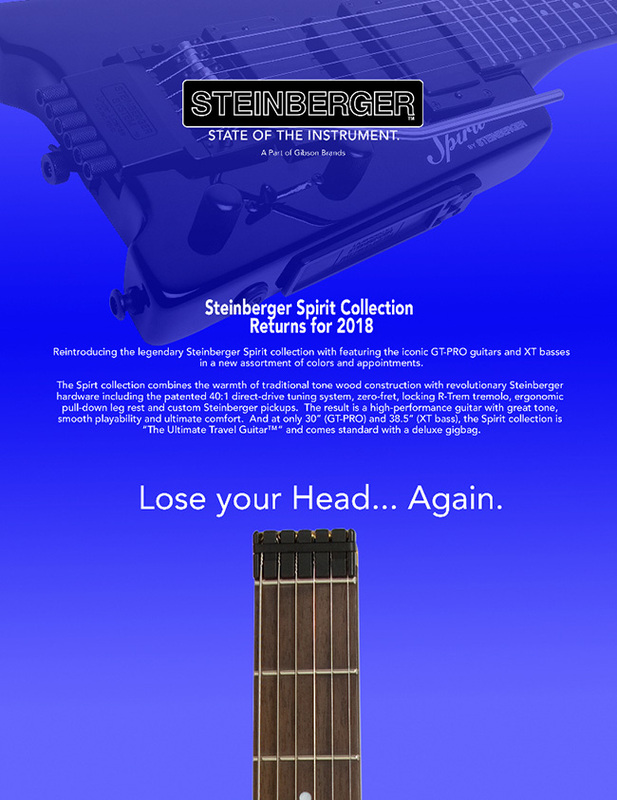 Steinberger Spirit returns for 2018 and features the iconic GT-PRO guitars and XT basses in a new assortment of colors and appointments. 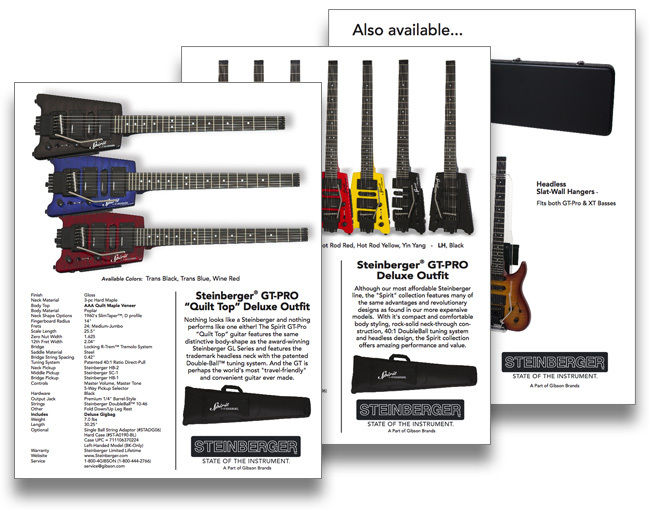 To go along with the re-launch of these instruments, Steinberger has re-established its on-line presence with a new website as well as Facebook, Twitter, YouTube and Instagram social media pages. And, for those who prefer, a new catalog is available for download here in Portable Document Format (PDF). The Spirit collection combines the warmth of traditional tone wood construction with revolutionary Steinberger hardware including the patented 40:1 direct-drive tuning system, zero-fret, locking R-Trem tremolo, ergonomic pull-down leg rest and custom Steinberger pickups. The result is a high-performance guitar with great tone, smooth playability and ultimate comfort. And at only 30"(GTPRO) and 38.5" (XT bass), the Spirit collection is "The Ultimate Travel Guitar™" and comes standard with a deluxe gigbag.